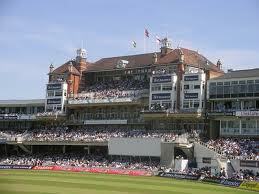 The final match of the Ashes series takes place at the Oval on Wednesday. It ranks as probably my favourite of all the English grounds and is a place that has regularly witnessed numerous important events throughout it's illustrious history. Indeed, it is at the ground where arguably the Ashes as we know them were born after the English loss to the Aussies by just 7 runs in 1882, after which the Sporting Times newspaper mock obituary appeared. The headline famously mourned the 'death' of English cricket with the now immortal line that: "The body will be cremated and the ashes taken to Australia." It is also the ground where Don Bradman captained the famous 'Invincibles' in 1948 for the very last time. The Don only need four runs to reach an astonishing Test average of 100 yet famously fell short and finished his career Test average 99.94. 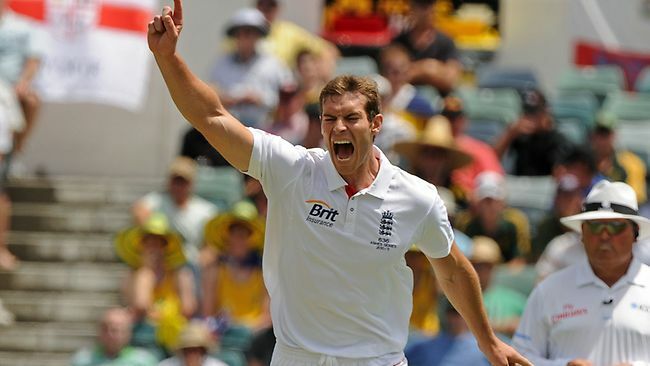 The Oval is traditionally a fast paced pitch which traditionally favours the speedier pace bowlers so I'm anticipating that the injured Tim Bresnan will be replaced by the imposing figure of Chris Tremlett who terrorised the Aussies on the last England Ashes tour down under. The Australian team hasn't remained unchanged yet this series and the possible injury of Watson may yet again mean than the team has to be altered. This Test match is highly important for a number of reasons. For England it is the all so rare chance of winning an Ashes series to zero. There is an old cricketing adage that if the opposition is down then you keep you foot on their throat and show no mercy. This is essential for England to do as not only will it mean a convincing 4-0 score line but it will provide an important psychological edge for the return Ashes series that takes place down-under in November. For Australia it is as equally important for similar reasons that they win the final Test of the series. So many times in this series they have had control of parts of the match, winning sessions and even days of play, yet time and time again England have found a way not to lose. Yes England on the whole have been the better side overall, but the 3-0 scoreline could have been all so very different - and the Aussies are well aware of this. They are a proud cricketing nation and will be doing everything they can to make sure that the promise that some of their young players show finally manifests itself in a Test victory. However England are now unbeaten in 12 Test matches and Australia now bear the very same scars that blighted the English back in the 1990's. Back then we witnessed the careers of veterans and newer playes often cruelly obliterated by the Australian machine who quite rightly never showed any mercy. Now the roles have been reversed with players such as Brad Haddin coming towards the end of their career and knowing they never again play in an Ashes winning team, and rookies such as Khawaja now possibly permanently scarred by the futility of the battles they currently find themselves in. My prediction is that England will continue to scar the Aussies and will wrap up the series 4-0. Some parts of this piece feature in the marvellous website http://www.crictracker.com - I'm now a featured writer there you know! Another excellent article. I anticipate 5 more very late nights as I watch from Australia, in probably forlorn hope, until 2.30 every morning (while it lasts). England has been magnificent this series,Australia disappointing. The fact England has had only one consistently dominant batsman has made their achievement even better. Her bowlers, particularly Broad and Swann have done a great job restricting and ultimately wrecking Australia's hopes in all but the second Test. England must keep its foot on the throat of the opponent and not give them a sniff. That is what Australia would do and has done so often in the past. Bring on the cricket. Thanks John. I do feel feel that in the press, over here particularly, the Aussie bowlers haven't been quite given the credit that they deserve in restricting some of the English batting - Harris, Siddal & Lyons have been excellent. In fact the way that Lyons has been treated by the Aussie selectors is quite disgraceful. If your boys can win the critical periods of play then they do have a chance at the Oval. However, I do feel that the Aussie confidence has been crushed (for now) and can't seen anything but an England win if the weather stays ok for the duration.